Lake effect snow is being enhanced off of Cayuga Lake as winds align just right with the angle of the lake. 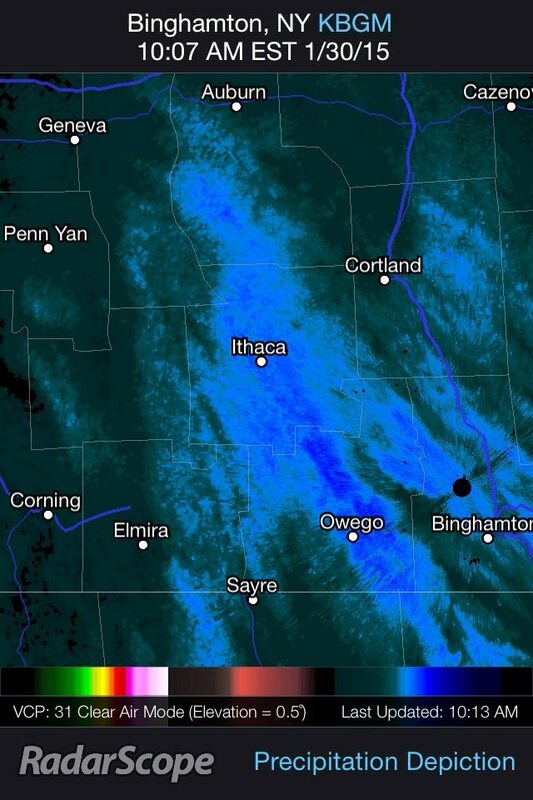 Some locally heavy snow will fall between Ithaca and Owego, making tracks very difficult. As much as 6″ of additional snow could fall in some areas from this enhancement. Lake Effect Snow Advisories have been issue form Tompkins, Tioga and Broome counties as a result. Let me know what conditions are like where you are, as well as any snow amounts you measure!